Casa Linda is a high-desert retreat which is not attached to a resort. 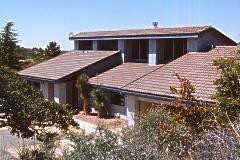 It is a truly spacious, elegant and comfortable home with Southwestern style decor and all the modern commoditities. The setting, 35 miles north of Tucson in the foothills of the Catalina Mountains, is semi-rural, secluded and quiet with sweeping desert and mountain vistas and exceptional night skies. My family and I just returned from a two week vacation in Tucson, AZ and we stayed at the Casa Linda from June 3 - June 16, 2006. Located in Oracle, AZ in a beautiful, private location. Each bedroom in this house has access to it's own bathroom while a half of bath in the kitchen allows for use when entertaining in the large kitchen area. 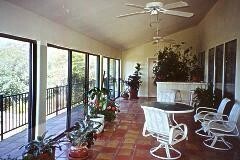 The large balcony in the back of the house is perfect for that morning cup of coffee to just listen to all the birds and other animals near by. The large screen tv in the living room was great for all of us to gather for some evening tv watching or if that wasn't the case the downstairs living room became the area for some ps2 video game playing (note - we brought our own ps2 system). Both tv's had dvd and/or vhs players. 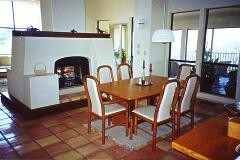 The house is very secluded for that great get away from it all feeling. It had beautiful views of the mountains with breath-taking sunsets. The owners went to get lengths to have just about everything one could need with traveling. All bathrooms were stocked with just about everything we could need. Plenty of towels, blankets and pillows. Kitchen was well stocked with cooking utensils, plates, spices, sugar, flour, coffe filters and coffee plus more, just too many to list. They also put together a great collection of places to visit in the area along with numerous maps, books and articles. Bookshelves in entry way were well stocked with books, CD's and games. They have truely put in a lot of care when thinking of their visitor's. My family and I will always remember our trip to the Casa Linda and will be looking to stay there again when we visit the Tucson area. 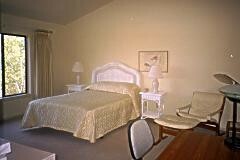 - For short week-end stay (2 nights) the rate is $150 per night for up-to 4 guests. - All the above rates are for 2-4 guests. For more than 4, add $100 per person for a week's stay and $200 per person for a month's stay. 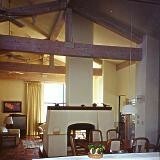 - Groups rates go from $25 (summer) to $35 (winter) per night per person. - Children under the age of 6 stay free. Deposit: A 50% refundable security deposit is required within 7 days of making the reservation. Full payment is required at the time of arrival. Cancellations and Refunds: Cancellations made within 14 days prior to weekly bookings shall be refunded (30 days cancellation notice needed for monthly bookings).